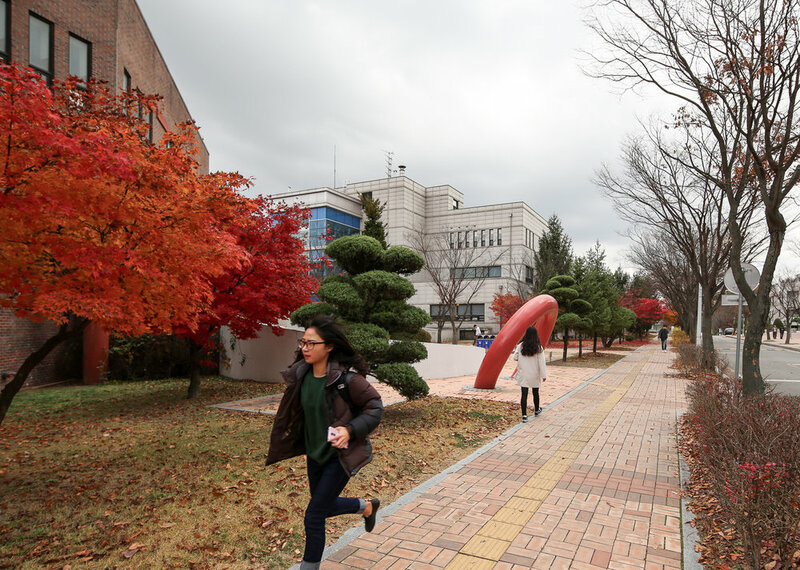 Nine public landmarks were built on a university campus in South Korea. As a giant Ariadne’s thread, these bent metal structures help to better orientate the users around the campus. At the same time, the project aims to link the existing network of faculties, emphasising their interdisciplinary nature and thus creating a unique system. The landmarks evoke a thread that, with simple structures, emerge from the ground and stitch together the most important places on the university campus. Only the central landmark is more complex and iconic, since it represents the beginning and the end point of the thread, and it is placed in the central university quad. The design was carried out in collaboration with Korea Tech and a group of students in order to develop the idea and to further implement the detailed design. The process was thus an experiment of practical and educational design, with concepts that bridge art, architecture, and urbanism. The structures have enhanced the quality of the public space and helped to create a sense of appropriation from the users. Chronology: Design (2013); Construction (2014-02).